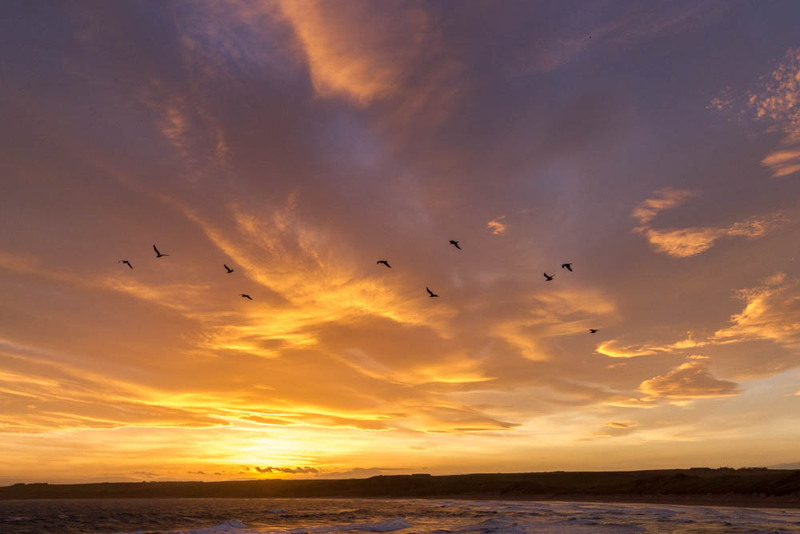 We have enjoyed some spectacular sunsets here in Buchan recently. After the sun has gone down, for a while there is a wonderful colourful light that transforms the countryside into something quite different and mysterious. 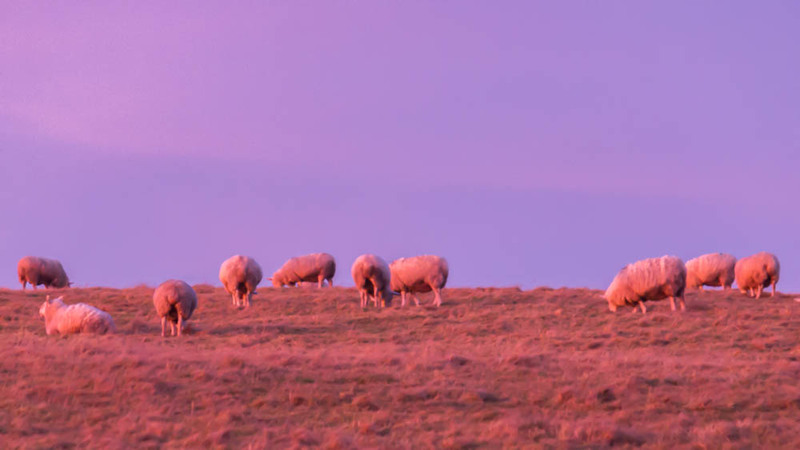 The sheep quietly grazing across the road from the layby on the main Peterhead road at the Longhaven cliffs is one example of the transformation that the afterglow can make to a picture – pink sheep! 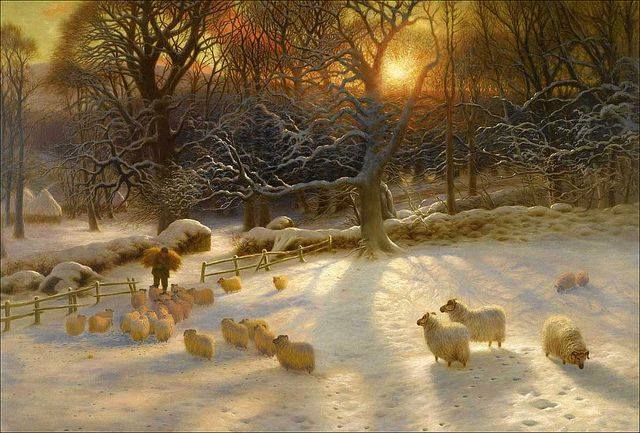 My mind went back to earlier this year when Dana, a friend from Latvia, commented that my picture of sheep and snow which I had posted on Facebook, reminded her of a Joseph Farquherson picture. 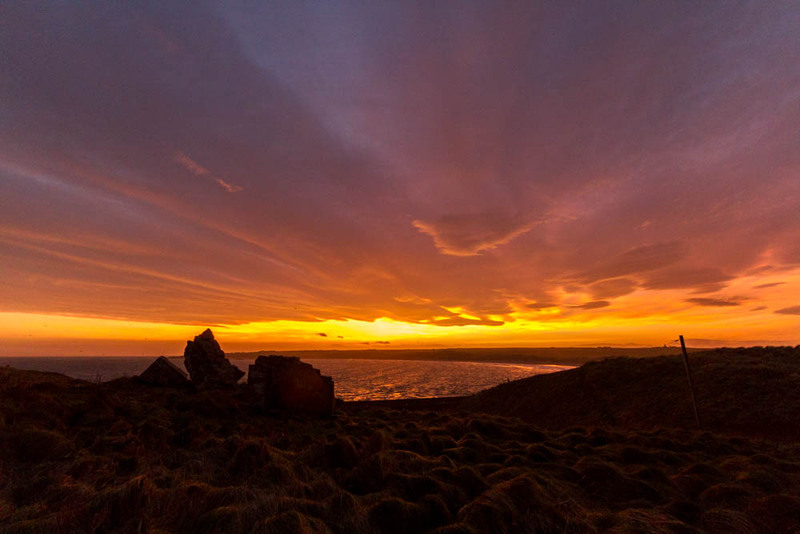 [Click here to read my original post] But the light he saw in the countryside at Finzean on Deeside is a warm gold. No pink sheep for him. 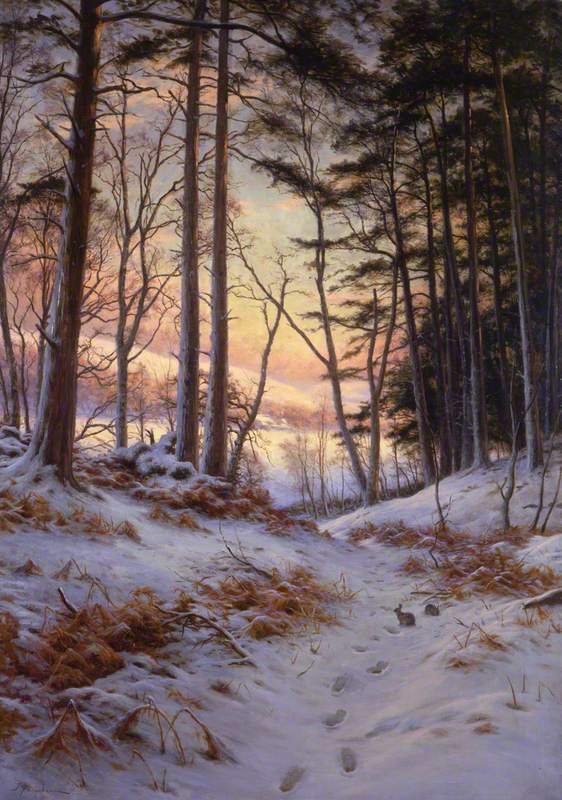 By the way, the word afterglow came to me from the title that Farquharson gave to another of his pictures, depicting rabbits in snow among the trees in the Forest of Birse at Finzean. This was painted in the tranquil days of 1912 before the lives of so many people would be turned upside down by war. Earlier this year I stood beside the War Memorial at Birse, reflecting how the Great War would have transformed that little rural community which the Laird of Finzean had illustrated in his paintings. 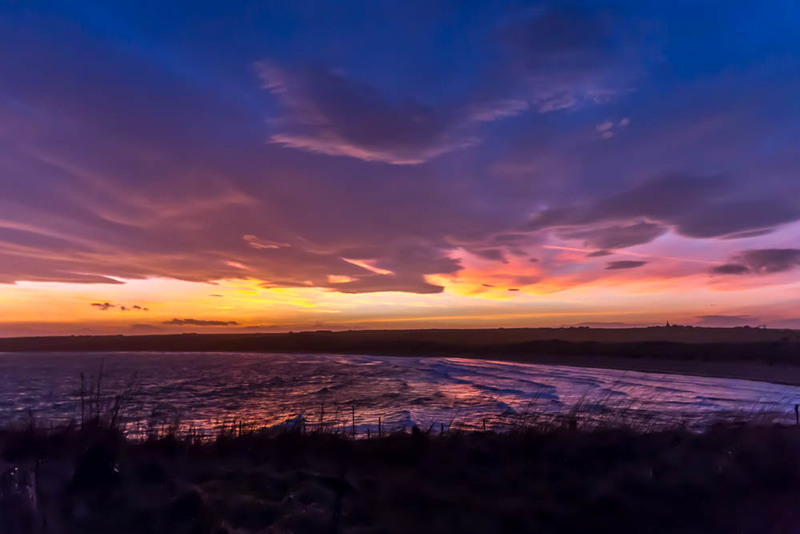 The light of the afterglow this week has been pink, orange and even red, much more dramatic than the gentle warm golds of that Edwardian winter more than 100 years ago. You can see some more of my red and orange sunset pictures here.